Large Open Windows on Duval Street or Indoor Air-conditioned when needed. 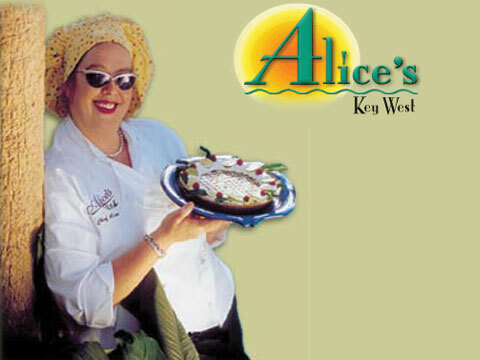 Delicious Key West Dining Private room available for 2 to 20 View our current menus Breakfast Menu 8:30 am - 2:00 pm Brunch and Lunch Menu 10:00 am - 2:00 pm Dinner Menu 6:00 pm - 11:00 pm Learn more about Key West Chef Alice Weingarten Alice's Key West Restaurant Highly Rated Zagat Surveys James Beard Recognized Chef Florida Trend magazine Golden Spoon Recipient Fodor's Choice Award North America Restaurant Association Five Star Award of Excellence â€œ Chef Weingarten puts out some of the island's best and most interesting food.â€ - The Miami Herald â€œ Aliceâ€™s.. a top pick for season.â€ -The New York Times Classic Key West Restaurants under the direction of Award Winning Chef Alice Weingarten and Bart Hofford. Key West restaurants like no other. View the Dinner Menu.